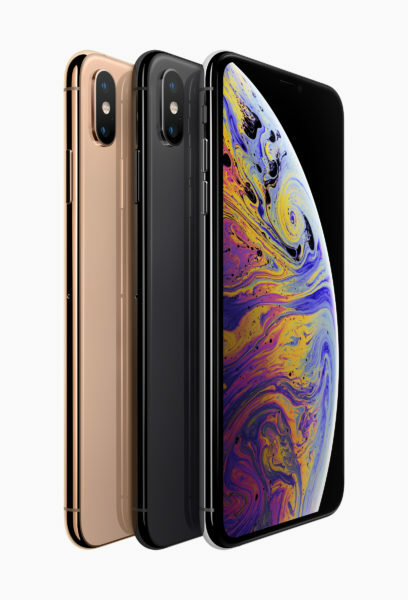 So, Apple raised its iPhone prices again when it launched the new iPhone XS range this week. Cue the groaning from Apple fans, many of whom will still go on to buy the newfangled phones when they hit the shops in the coming weeks. What’s more interesting is that the gadgets are crossing into new territory when it comes to prices. Never have a commonly available smartphone been this expensive. At more than S$2,000 (that’s Singapore dollars, for our readers in the United States), the 256GB and 512GB models for the largest iPhone XS Max will cost as much as a mid- to high-end laptop. Sure, these high-end iPhones have the storage to match a laptop as well. But as we know, the cost of flash memory – less than 35 US cents a gigabyte now for high-end versions – is much lower than what Apple is charging for, especially with recently declining prices. The real story is how Apple seems to be positioning the iPhone – at least the high-end models – as a luxury good. The most expensive models are like aspirational items priced above the cheaper models for the masses. You would think that Apple would price its phones more competitively now, as rivals such as China’s Huawei, which replaced it as the number two phone maker this year, muscle in. However, that goes against the traditional idea of a luxury good, which thrives on scarcity, not mass consumption. The smart move here is to appeal to both. In coming up with the cheaper iPhone XR at the lower end of the scale, Apple has the “affordable luxury” option to complement the snob appeal of the costlier iPhone XS Max. That strategy looks to target people who use their phones longer and are jaded by the new features that are trotted out each year. So, instead of collecting S$1,000 every year, Apple can now collect S$2,000 from fans who will be upgrading once every two years. Don’t forget that the technology hasn’t changed all that much so costs are not rising. That means fatter profits. Will this work? There’s a cautionary tale from other companies that have tried in the past. Vertu, that vanity spin-off from Nokia, took the extreme route with scarcity by including precious stones in its phones. They were outdated within months of being launched. But now, with many features more or less stabilised in the smartphone world, phone makers are beginning to think they can get away with selling costly flagships that people will want to keep longer. These won’t be luxury goods in the form of a Patek Philippe mechanical watch or Tiffany diamond ring, which are meant to keep their value over time. Technology, after all, replaces itself ever so frequently. It is transient, upgradeable and discardable. Since endowing their smartwatches with gold, technology firms have grown smarter. To get at the mass luxury segment, they are now packing more storage and taking advantage of longer upgrade cycles. There’s now an opening for highly priced flagship models not prone to the price elasticity and competition in the entry-level and mid-range devices. And to be fair, Apple isn’t the only one doing this, even though it is setting the bar high for prices. Samsung’s Galaxy Note 9 out last month cost as much as S$1,728 in Singapore for a 512GB model. And Huawei has a little-known Porsche Design version of its Mate 10 phone – called the Mate RS – that costs a grand S$2,298. 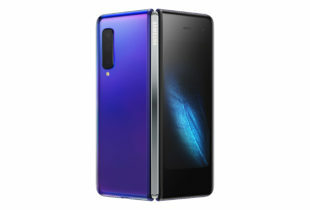 Is it better than the company’s P20 Pro that came out just a couple of months earlier and costs half the price? Not so, if you’re talking about the breakthrough triple-sensor camera, which is on both models. However, there will be a group of users who will love the snob appeal of the more expensive model. Yes, the added storage and under-screen fingerprint sensor are also there, but these features don’t justify doubling the price. Perhaps that is the best sign of a luxury good, when you knowingly pay more for something that doesn’t offer a corresponding increase in utility. No wonder Apple is swimming in money. You may buy one Patek watch in a lifetime and leave it for your kids. An iPhone only lasts a few years – max – before the temptation to buy a new model arrives again.